Second, you talk to one, two, or three landscaping firms. That’s where you are right now, and this is the point where you have some trepidation, which is understandable – you have a bewildering array of choices. Most of our initial calls come from people who’ve heard good things about us from friends or neighbors. Many come from this website. Very few come from someone playing yellow pages roulette. We’re a design/build firm. We install the landscapes we design. 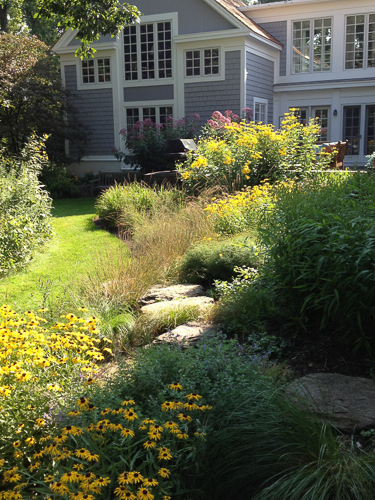 When you hire a design/build landscape firm, you are hiring a partner in your project. You want to have confidence in your partner’s abilities and integrity. We’re landscape craftsmen. We’re fanatical about the details of the design and the installation.